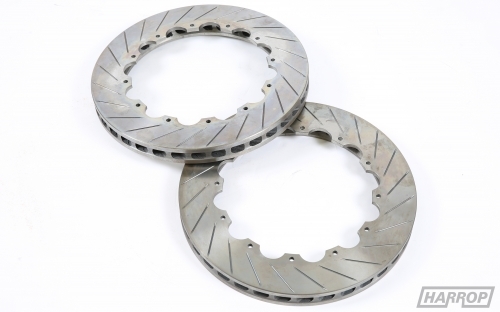 This pair of rotors are a 36 curved vane, slotted, two piece cast design, to suit a bolt on adapter. 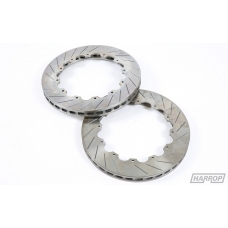 This item is sold as a pair without adapters. This item does not include adapters ( Hats ) or hardware.